What's more delicious than an afternoon cream tea with freshly baked scones, plenty of jam and endless cups of tea? It's one of my favourite things on a sunny afternoon but being on a plant-based diet it can be a little tricky to find scones that fit in with this lifestyle and being gluten free makes it even more difficult. I decided to create my own healthy, gluten free, vegan, super delicious scones and I have to say....I'm obsessed with them! 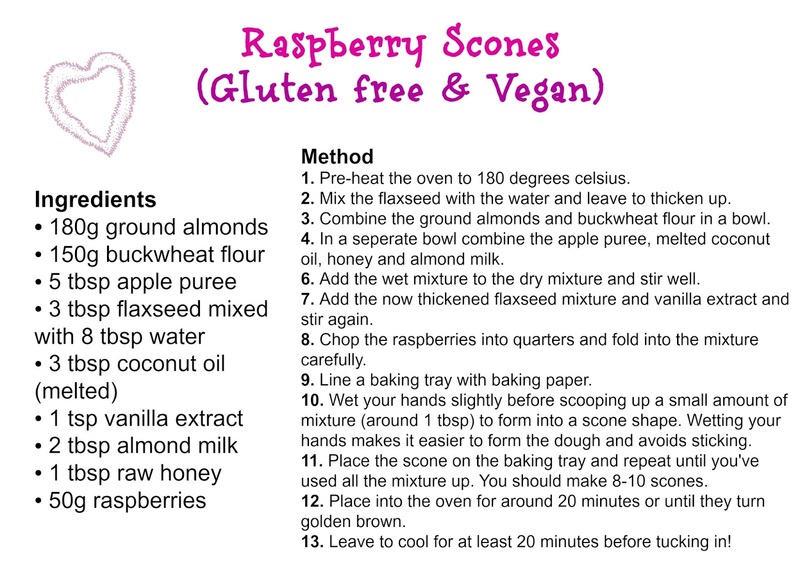 These raspberry scones are absolutely delicious, inexpensive to make and surprisingly easy to whip up too. 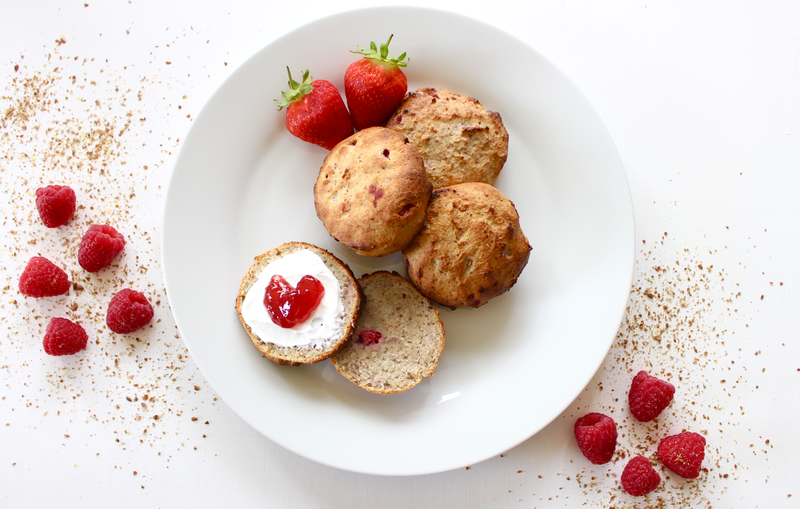 My raspberry scones are made entirely from wholesome ingredients with no added chemicals, preservatives or artificial sugars. They taste sweet, indulgent, satisfying and fresh rather than heavy and refined. 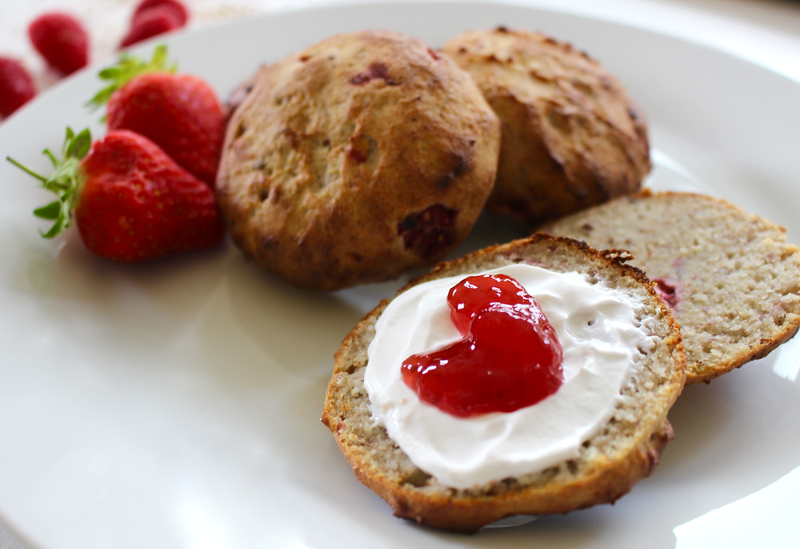 I love these scones mainly because they just taste so damn good but it's a real bonus that they're packed with amazing nutrients too! There's protein from the ground almonds and flax, healthy carbs from the buckwheat flour, good-for-you fats from the coconut oil and glow-giving vitamins from the raspberries. The sweetness comes from the apple puree (I use Biona but you can make your own!) and a little honey so these beauties won't spike your blood sugar levels or leave you feeling exhausted later in the day. 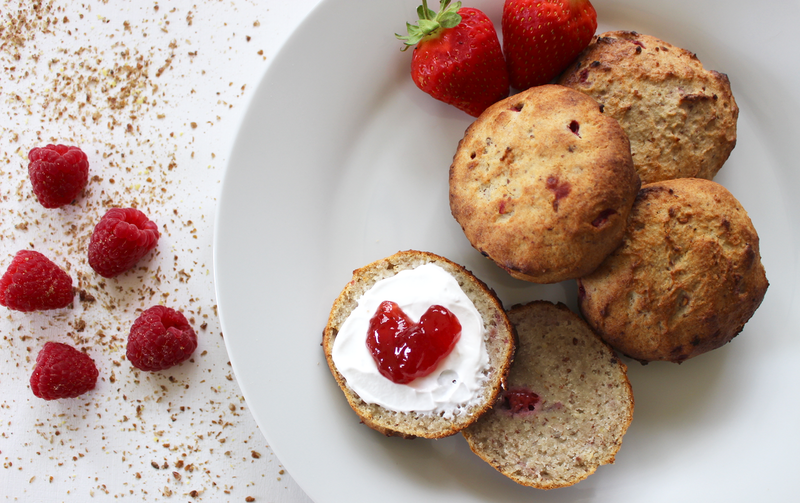 You can top these raspberry scones with whatever you fancy, but I'd highly recommend plain coconut yogurt from Coyo, it's super creamy and thick so acts like cream, and fresh strawberry jam! You can try my chia seed jam recipe here. Oh....and a cup of tea, of course!